September 13, 2018  On String Theory, out Nov. 9, the band revisits its catalog and performs new songs with the aid of a 46-piece symphony orchestra. 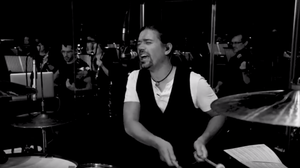 Watch Hanson perform "Siren Call." December 18, 2017  Frantic time-lapse set decoration. An intrusive snow machine. Ugly holiday sweaters. 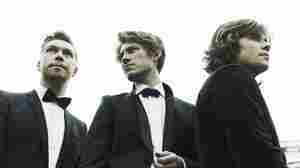 It's time to hunker down and soak up a raucous and reverent Christmas party, courtesy of Hanson. October 16, 2017  Isaac, Taylor and Zac Hanson just celebrated their 25th anniversary as a band. To celebrate, watch them perform three of their post-"MMMBop" career highlights. May 26, 2017  "I Was Born" is out today, and if it's not in a car commercial by this time next week, every ad agency in America will have fallen down on the job. June 16, 2013  Isaac, Taylor and Zac Hanson have reworked their teen-pop sound to a matured intensity. The brothers discuss their Oklahoma roots, recording tensions, and meeting their wives at Hanson concerts. November 11, 2010  "Thinking 'Bout Somethin'" is a perfectly soul-infused pop song completed with cowbell, horns and belted-out harmonies. 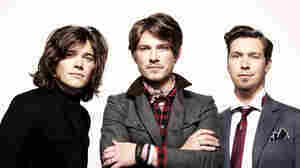 Like its video, the song sums up Hanson's modern-day persona as a band that's polished, charming and confident enough to delight in everything that came before it. September 30, 2007  Ten years ago, Hanson's "MMMBop" was a massive hit among teenage girls. But unlike most "boy bands," the trio wrote its own songs and still does. 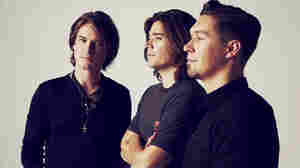 The Hanson brothers are in their 20s now, they run their own label, and they just released a new CD, The Walk.